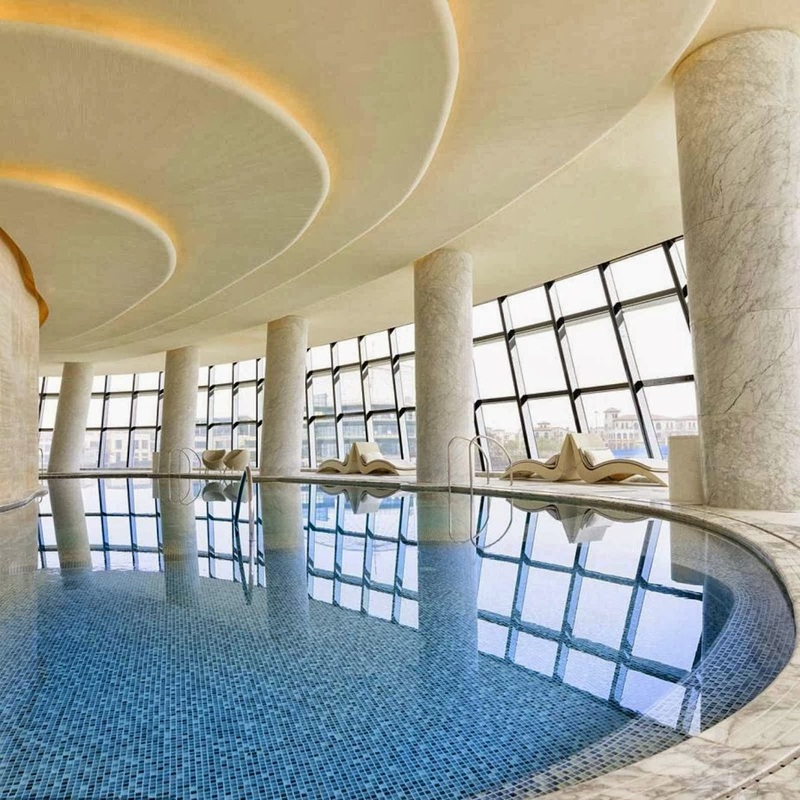 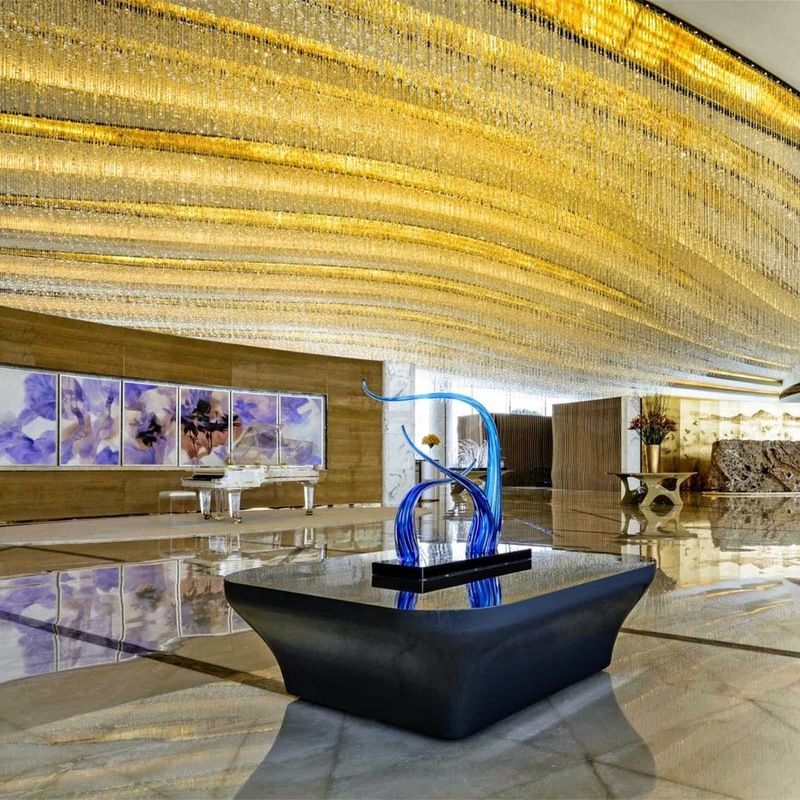 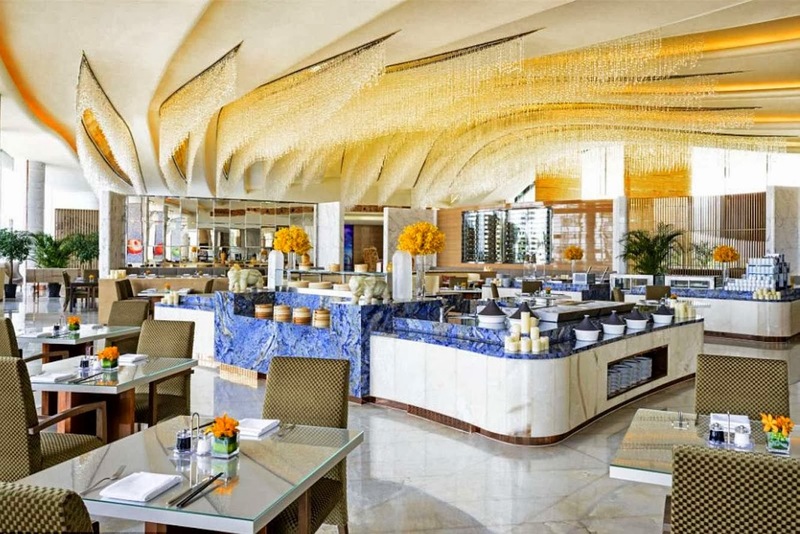 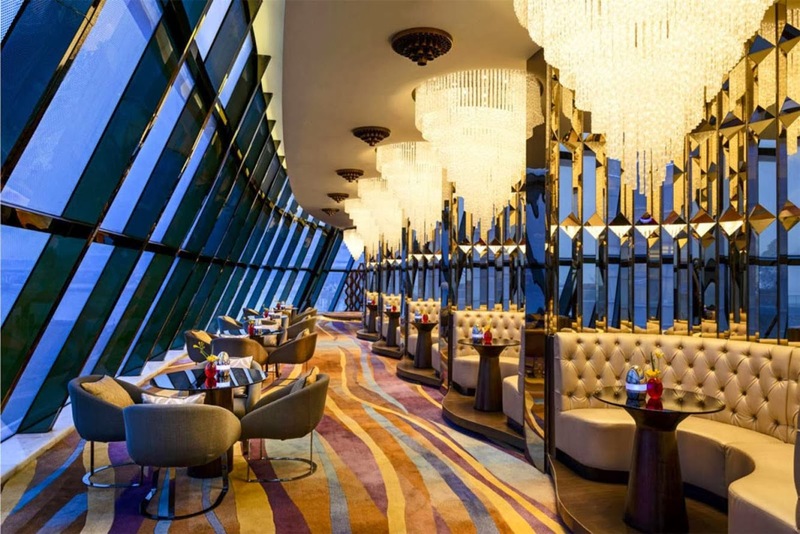 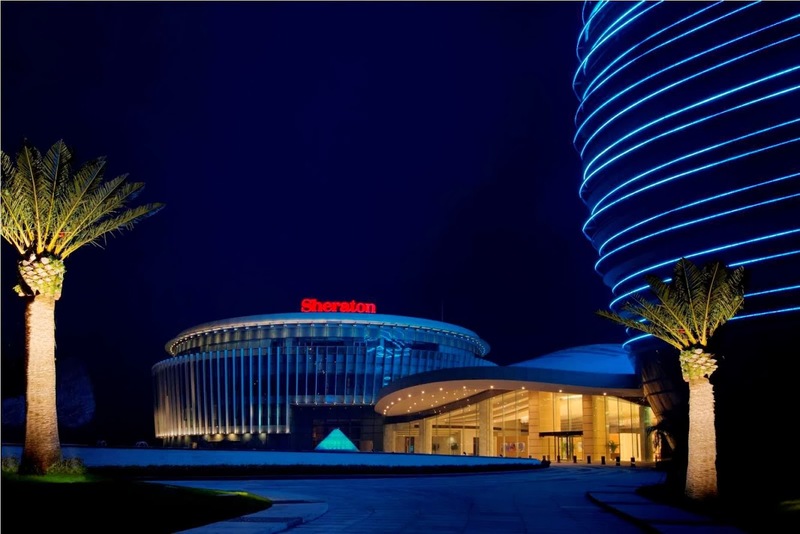 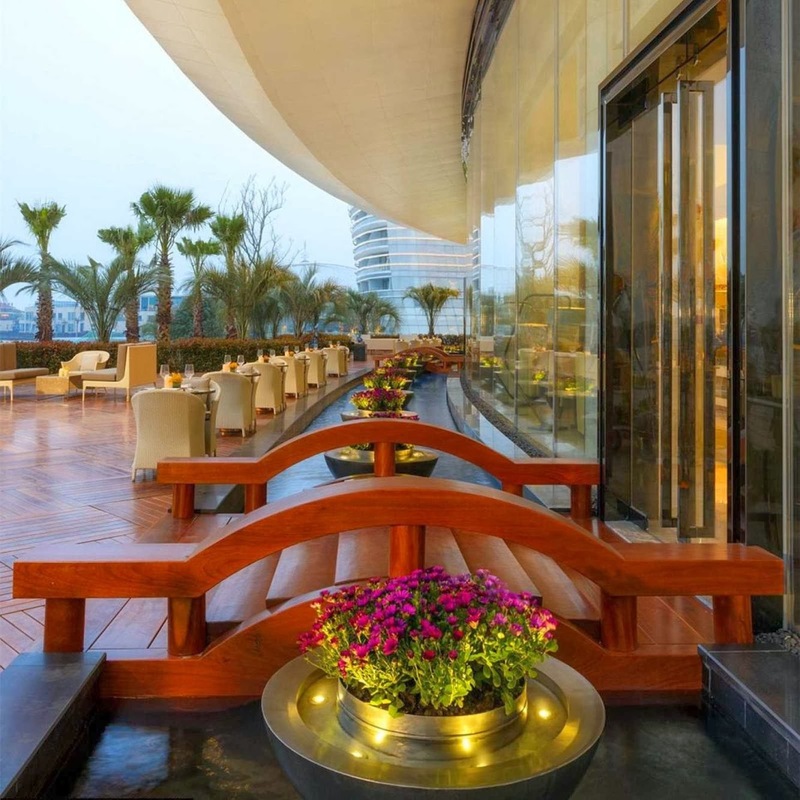 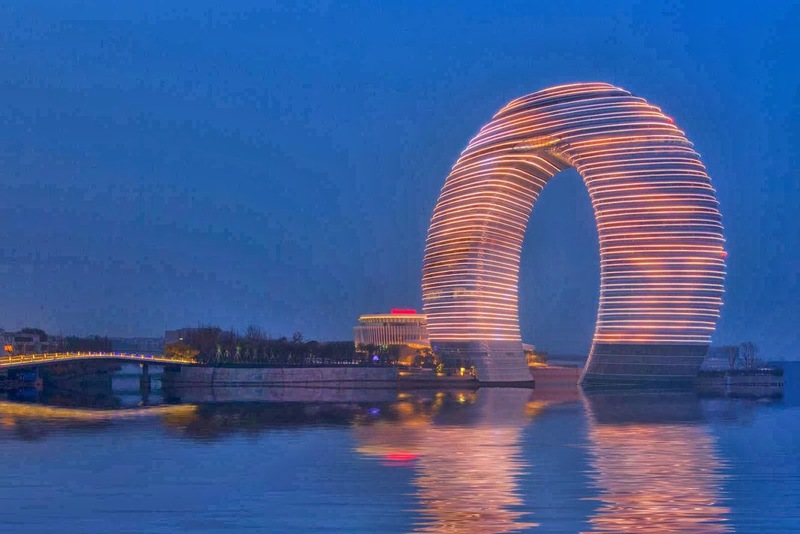 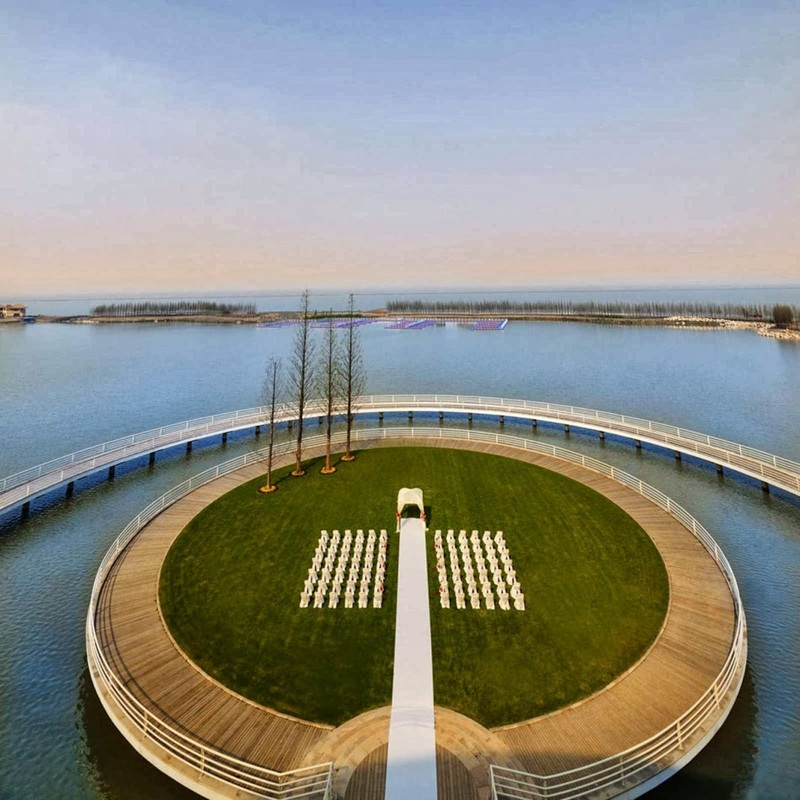 Sheraton Moon Hotel is located next to Nan Tai Lake in Huzhou, a city situated west of Shanghai and north of Hangzhou, overlooking Suzhou and Wuxi across the lake. 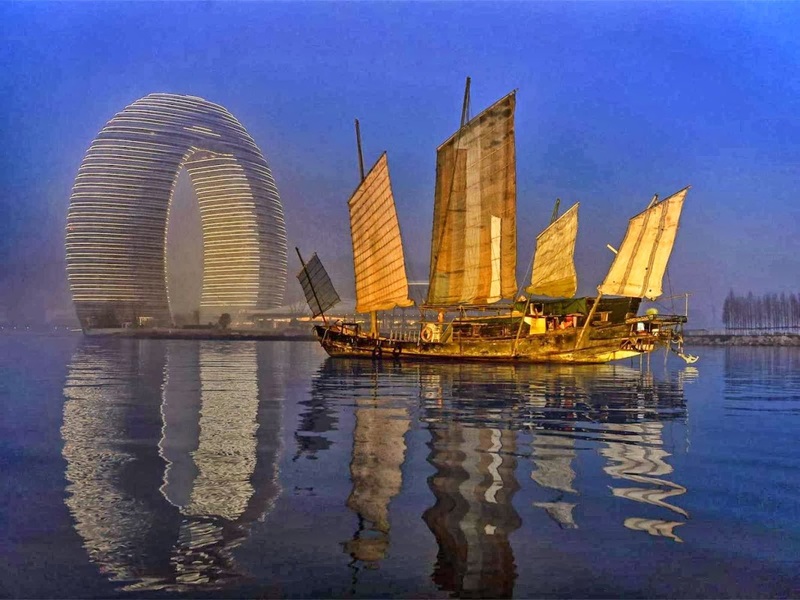 Since ancient times, Huzhou has been known as “the house of silk” and “the land of plenty" and is the only ancient city of culture in the surrounding area named after the lake. 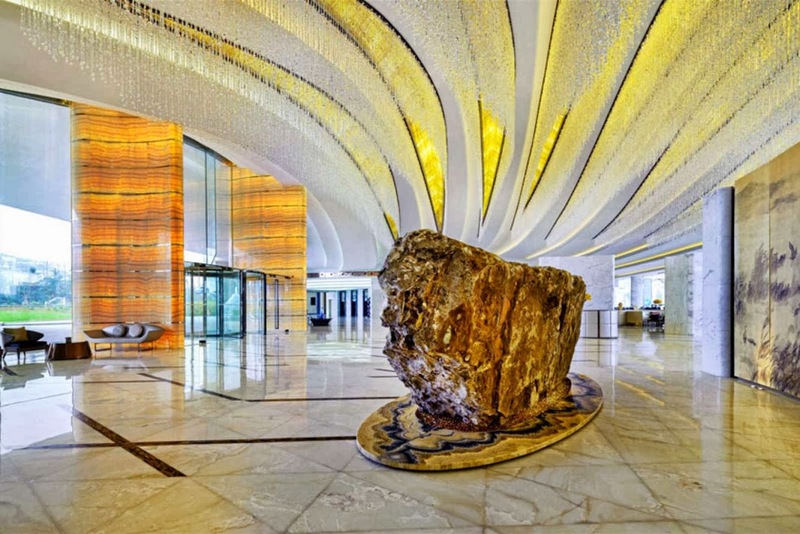 The favorable cultural and geographical environment brings both traditional and modern atmospheres to the hotel, distinguished by its unique design which integrates the building into the waterscape of Tai Lake, subsequently creating a poetic yet artificial echo of the natural landscape. 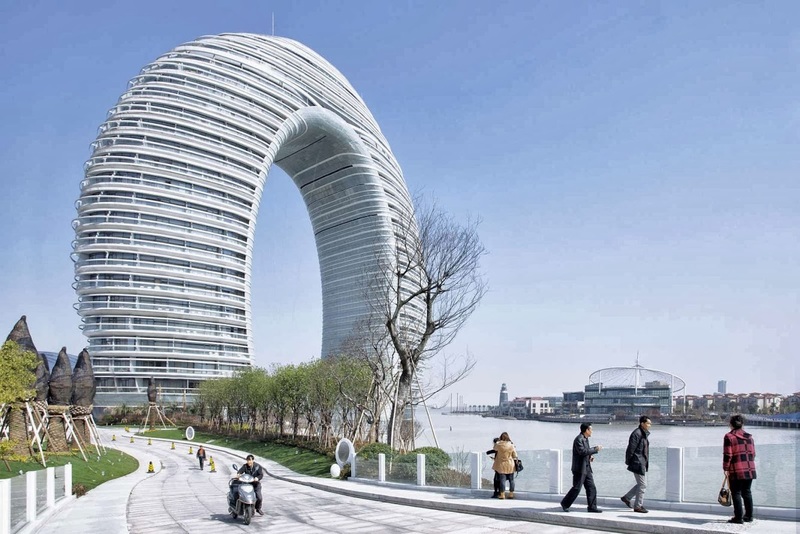 The Moon Hotel takes full advantage of its waterfront by directly integrating architecture and nature. 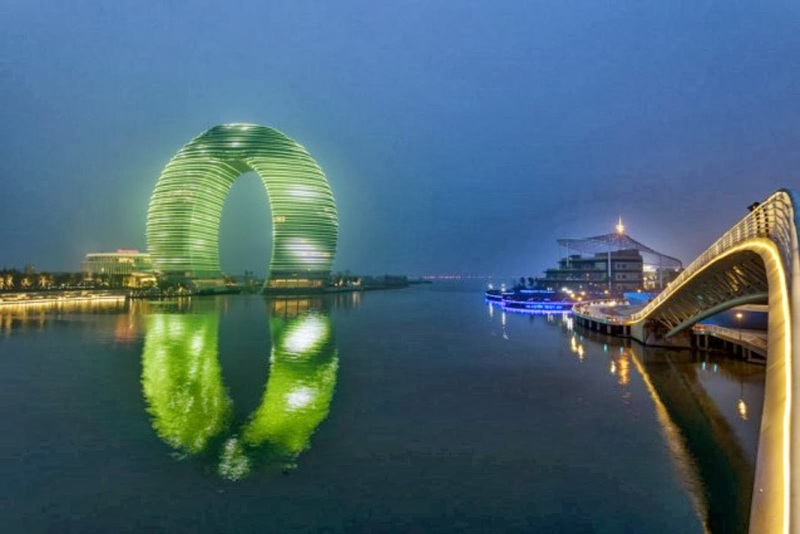 the circular building corresponds with its reflection in the water, creating a surreal picture and connection between real and phantom. 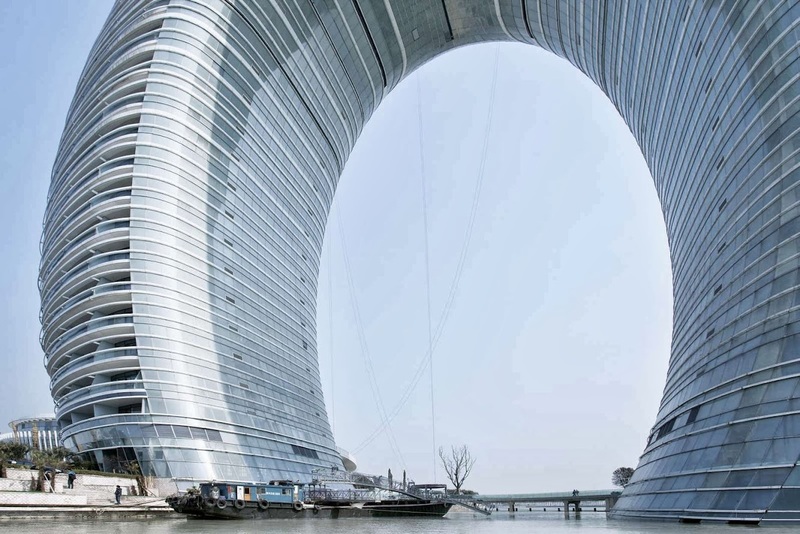 Beneath the sunlight and the reflection of the lake, the curved shape of the building is crystal clear. 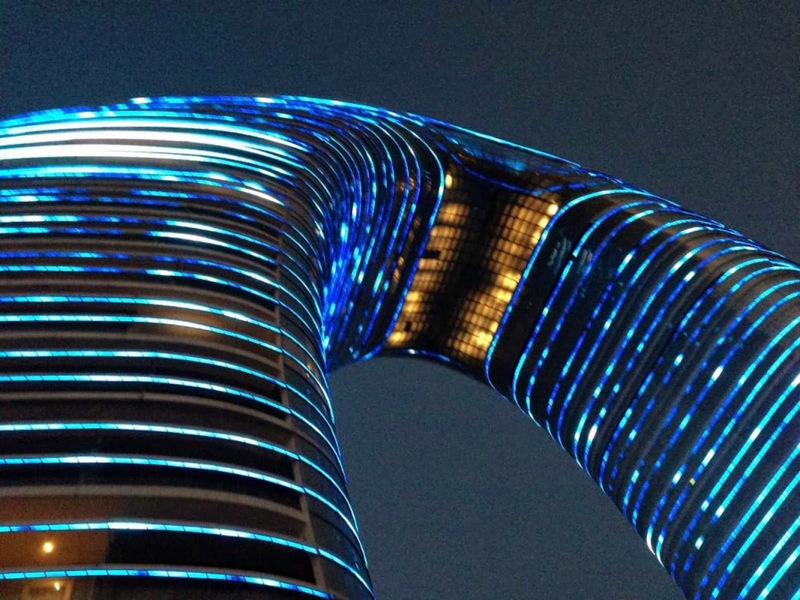 When night falls, the entire building is lit up brightly by both its interior and exterior lighting. 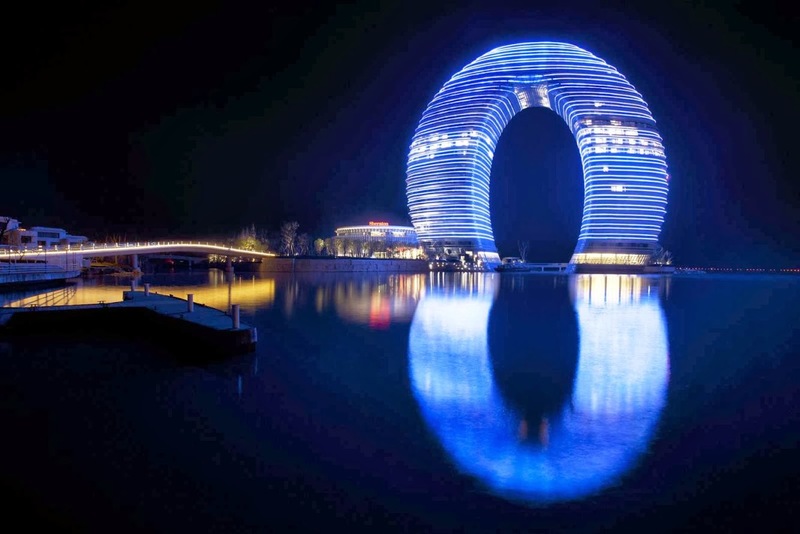 Soft light wraps around the hotel and the water, resembling the bright moon rising above the lake, blending classic and modern through the reflection. 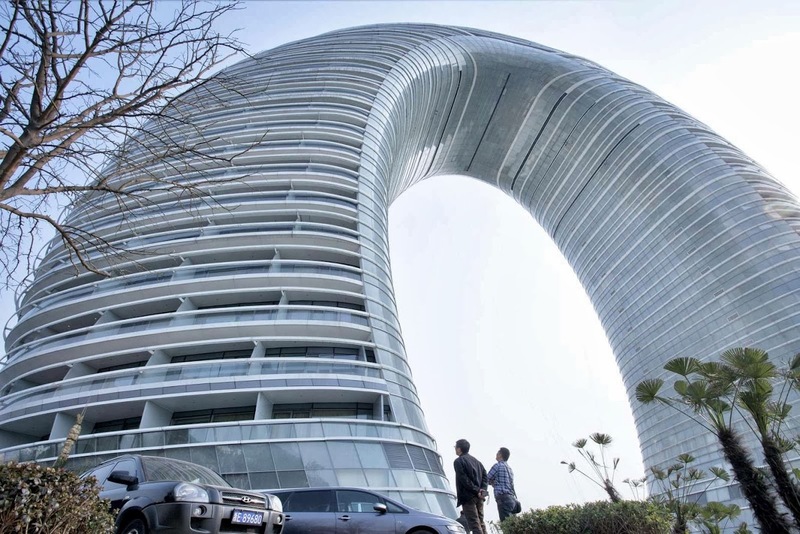 The clear ring-shape posed a great challenge to the structural design and eventually, a “reinforced concrete core-tube” featuring high capacity, light weight and excellent earthquake resistance, was implemented while simultaneously reducing environmental pollution during construction. 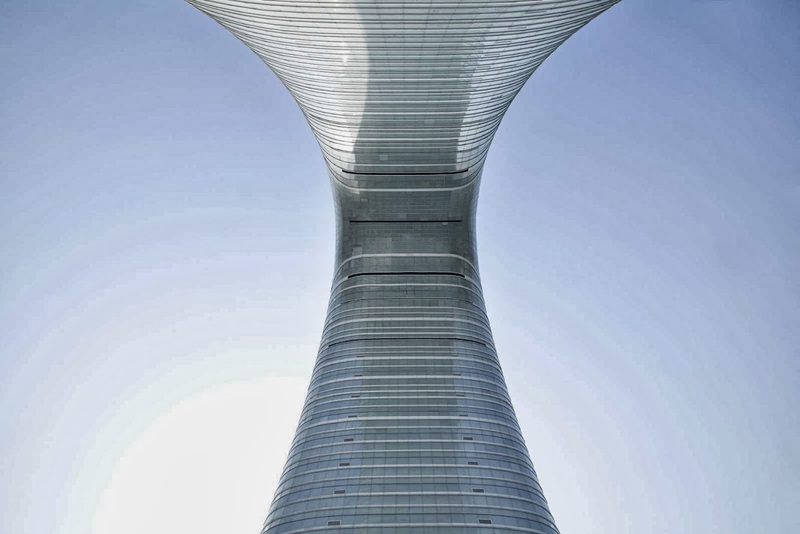 The mesh curved surface structure makes the building more solid and it is this solidity that is further enhanced by the bridge-like bracing steel structure that connects with the double cone structure at the top floor. 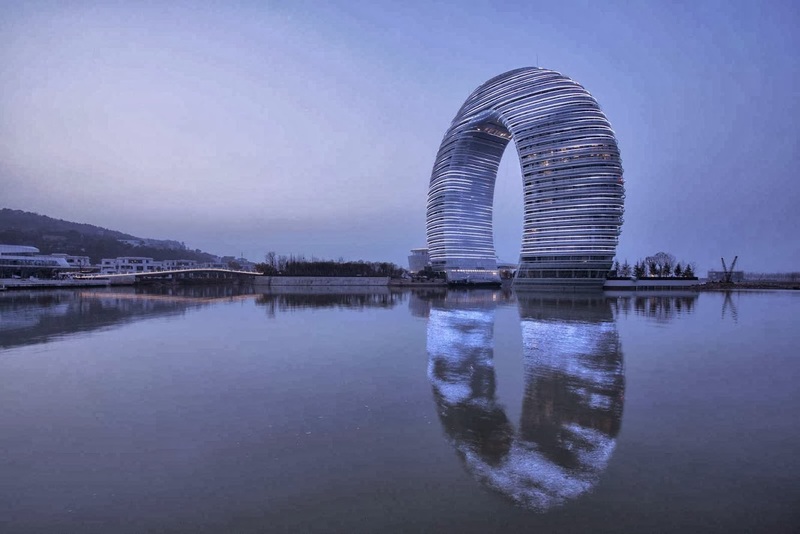 The hotel façade is covered with layers of fine-textured white aluminum rings and glass, bringing about illusion and drama of the building scale. 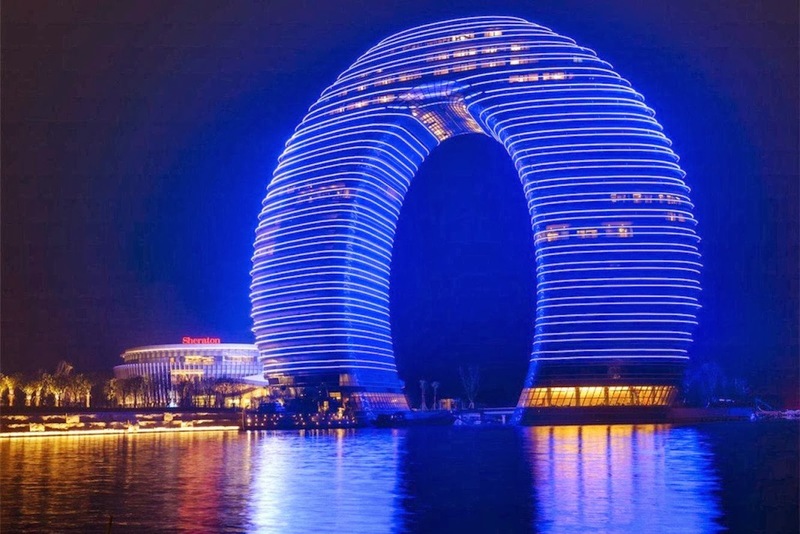 The resort features 282 luxurious guestrooms, 39 HotSpring Villas, two Presidential Villas, and a Spa Village that offers five different types of spa experiences, as well as a few techniques that reduce its energy consumption.